Prof. Green had asked me if I could write something for the upcoming MBA graduates. I am happy to oblige because, in my opinion, a career in operations management is very exciting and full of opportunities. Please comment on this topic and provide the guest blogger with meaningful feedback. 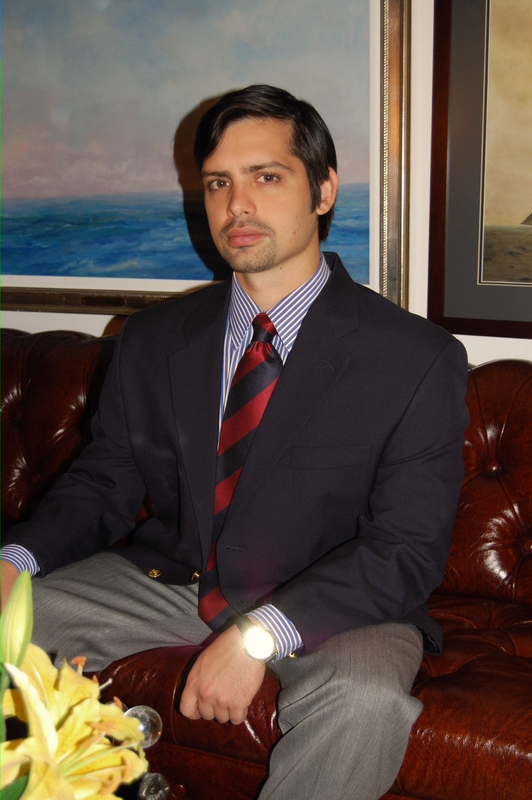 Artyom has an MBA in Operations Management from New York’s Zicklin School of Business. When he is not handling the day-to-day business at OperationsManager.com, he consults companies on the best practices and trends in operations management. Little did I know, my real title was an Operations Manager and not a Nurse Manager? I thought I was in charge of being an expert in the field of Nursing, but as I have learned over the past nine years, that is furthest from the truth. Daily, I must find a balance to staff a 50 bed Cardiac unit (efficiency) while making sure we provide safe outcomes and meet quality indicators (effectiveness). This is becoming more and more challenging, given the state of the economy and the financial impact from reimbursements. As you stated, “with increasing complexities, it is essential to find a person to make sure everything runs smoothly”. No matter what industry we work in, we are facing more and newer challenges in our work place. For survival, we must look at our current processes and find new ways to be more efficient and effective. With the use of Lean Manufacturing (Jacobs, p 16) and Process Reengineering (Jacobs, p 17), we have tools available to lead us in the right direction. Reference: Jacobs, F., Chase, R., Aquilano, N., (2009). Operations-Supply Management. 12th ed. New York, NY. McGraw-Hill/Irwin p 6, p16-17. Suzanne, I understand completely where you are coming from. While, I was far from an expert, I thought that I had a handle on my field when I came out of school, at least enough to get started. Little did I know that not only did I need to know how to evaluate and treat the patient, I also needed to know how to balance running a profitable clinic with the clinical aspect of my job. As we have discussed in class, one of the hardest things about the healthcare industry is that by the nature of being a service industry, the customer is constantly present, thus customer satisfaction is crucial to success. Previous researchers in this area have identified the following five areas that most frequently drove overall patient satisfaction: communication, consistency, respect, attention (quality of time) and understanding (relevant personal knowledge of the patient and history). Keeping these things in mind can help all healthcare providers promote greater patient satisfaction and results (Elliot-Burke & Pothast, 1997). Elliot-Burke, T.L, Pothast, L. Measure patient satisfaction in an outpatient orthopedic setting, Part 1: Key drivers and results. Journal of Rehabilitation Outcome Measures. 1997;1:18-25. Suzanne, I agree 100% with your statement “we are facing more and newer challenges in our work place. For survival, we must look at our current processes and find new ways to be more efficient and effective. ”. I think as MBA students we to practice in a way to aid the organization that require our expertise as well as knowledge. The support required from us can include many ways to come more efficient and effective. In addition, I think we also have to be conduction interviews for job replacement if necessary too. You would be surprised of how many opportunities out there in the job market that comes by every day. Students should be aware that their talent when fully utilized is appreciated highly outside the organization (Johnston, 2009). Johnston, M., Yeaple, R., Whittingham, K., (2009). Measuring the Economic Value of Pre-MBA Work Experience. Journal of Education for Business. I agree with you on several fronts. Health care managers have many battles to wage and with Medicare pushing its value added payment system, quality and customer satisfaction are front and center. You touched on the arsenal of lean manufacturing as tool to use. In fact, I would suggest that you use all the tools that Six SIgma has to offer. Though Six Sigma was founded in the manufacturing industry, it has relevance in health care. It focuses on eliminating errors (always good for safety) as a means to driving down costs. Like layers of an onion, it then goes onto eliminating waste and processes that do not support the goal. One part I like about Six Sigma, is that it has a basis in science and a reliance on objective and trackable figures. I hope that you continue your fight and quest for operational excellence. SIx sigma, and its philosophies, may have a place in your managerial quiver. I was surprised by the quote: “For every 87 job seekers, there are 100 openings in operations management field.” Given that the study of operations management helps students understand each aspect of business and teaches them how to make those more efficient and beneficial to their company, those who graduate with that degree are obviously a valuable commodity. However, I was conflicted over the value of education versus experience in a real-world application. Education tells an employer what students were taught, whereas experience would tell the employer how that information was applied. I would suggest that companies implementing tuition reimbursement would have the best of both worlds. “Employees who take advantage of tuition reimbursement tend to stay with the company longer. In addition to improved employee retention, the employer may have more employees who are easily promotable, saving them money on recruiting new employees,” (Breed, 2011). Having happier, well-educated employees, who have developed a loyalty to their company, would seem like the best way to get both the value of the education and experience. I completely agree that education is the sharpest edge for competition in the job market. However, a “double threat” candidate should possess both experience and education. MBA graduates without job experience may find the job market difficult to break through and a slow payback on their educational investment. Johnson, Yeaple and Whittingham state, “Work experience allows employers to better evaluate prospective hires, students with experience may be better problem solvers and contribute to richer discussions of business issues (2009).” Therefore, it is very beneficial for employers to promote higher education opportunities for their employees and seek out individuals who are educated and experienced. Thank you for your insightful contribution to our blog. Would you agree that employers have a significant role in developing a well-educated and experienced workforce? I was completely surprised by the statistics that experience and education can yield vastly different variations in salary. It was also interesting to note the differences with the same education, but in diverse fields. After reading the blog, I realize that I am apparently in the wrong industry to fully utilize the degree that I am pursuing. As someone in the hospitality industry, operations managers are usually the General Managers of an establishment or a regional manager, which neither requires a MBA degree. A hotel management MBA degree provides the nuts and bolts of hotel industry, something that most managers obtain from on-the-job training, however according to the MBA Admissions Interview website, a MBA will help one to overcome years of experience in order to gain the title of Operations Manager. Thank you for the enlightening blog post. It seems as if I may have to redesign my career choices in order to fully incorporate the MBA degree with the hospitality industry, in order to gain significant financial and emotional rewards. Excellent! Yes, this information makes you want to perform a self-assessment of career ambitions! Angela, I also had no idea that there was such a disparity between salaries and compensation in regards to education and experience. It makes me want to reassess my career path as well. After performing some additional research, I found some very interesting statistics. According to APICS (Advancing Productivity, Innovation, and Competitive Success),The Association for Operations Management, “individuals completing a masters in business administration (MBA) degree can expect approximately… 45 percent more than those with only a high school diploma” (p3). Therefore, to answer the questions, combining education and experience can play a huge role in compensation and salary. I always knew that an education was extremely important, but I was not aware how important, and that earnings could increase so dramatically with an education. I appreciate the insight and will definitely take on a more proactive role in my career in light of this information. Francis suggests the need to practice quantitative analysis as a student (Francis, 2009). Does your experience yield the need for this type of analysis on a regular basis in operations management? As a “big picture” personality, I shy away from numbers but really enjoy having them back up hunches about things I know intuitively. Post-MBA, I am getting my PMP certification, then consulting. I considered a collegiate route such as writing, editing or publishing but may specialize in health care publications after seeing your article. How much should a student practice these problems? Or once in the field, should we delegate the number crunching? I have specialized knowledge and will probably leave the financing up to my accountant, since she is better with numbers. But, here, it looks like the company may be better-served with the quantification in my hands first, then the company. Is there a particular set of calculations that you utilize more than others in your field? I am young in the program, but believe the opportunity to pick your brain here is a great one! What are my key words? Do I need a diagram? List? Table? Is there a formula or equation that I’ll need? Which one? Will I use a calculator? Is there a pattern I can use and or follow? Remember: Read the problem carefully, decide on a method to solve the problem, solve the problem. I think this is something I do naturally. I work backward from the big problem but I am able to stand back and definitely see issues along the operations management chain. When I look at a business, I instinctively begin to look at better, more efficient ways things can be done because the errors/inefficiencies seem to jump out at me and appear to be back lit or highlighted. Often, I will be the person in the room to say, “um, why don’t you just do this?” and everyone will turn around incredulously and say, “wow, yes, of course!” I don’t feel especially gifted about anything in this arena, it is just easy for me to see from over here. I like the list of defining what tools, diagrams, etc. could be needed or useful. Thanks, Heidi, for the boost about problem solving! This statistics are very interesting and in my opinion just a reflection of what the employer and the general population defines as important. 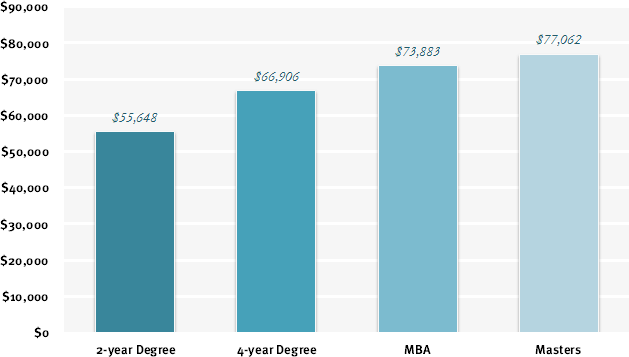 The statistics comparing compensation VS. experience is a reflection of how employers perceive new graduates (X<10 years. The second statistics is true in real life. It is generally assumed that the longer schooling, the more knowledgeable one becomes, although from the first statistics, experience is also more valuable, except that it will take longer to get the same compensation from experience rather than education time. For example, an employee with 26 years of experience will earn just 90% what an MBA person earns after 6 years of education. The third statistical representation is more of what the general public considers to be of most important rather than what the employer considers to be of more value. Most people will be willing to pay more for healthcare and for utilities compared to engineering services. It is basically a supply demand representation. Obey (2009) Supply & Demand – The art of Shepard Fairey – by Shepard Fairey. Retrieved January 20, 2009. Only wanna tell that this is very helpful , Thanks for taking your time to write this. “The cost of living is going up and the chance of living is going down.” by Flip Wilson. Thank you for joining us this week. I appreciate your article and enjoyed reading your graphs. Graphs help us to visually understand things that words just can’t convey. I perused your web site and was interested in your article about personality types of Operations managers. You stated “Operations Managers are often valued for their creativity in coming up with new ideas and problem solving. However, this creativity always lies on a basis of common sense. The Operations Manager will be able to look at all aspects of the company with objection and calculate whether plans are actually feasible or not. Anyone with experience in the field will agree that it isn’t enough to have knowledge- one must also have the basic sense to put that knowledge into practice.” It would seem to me that one would need years of experience to be able to gain this kind of common sense in this arena. I think that Operations Managers have a fun and exciting career as they are literally responsible for the operations of entire manufacturing plants. One must be able to have the “big picture” to be successful with this kind of position. According to The Wall Street Journal, the unemployment rate increased in 28 states in June. 16,900 employees were laid off in Tennessee alone during the month of June. The weak economy seems to not be improving as quickly as expected. However, Malkov offers an uplifting perspective to an MBA graduate’s job search—so long as one is prepared and anticipating change. Mark Hansen states, “The one constant in the business world is change. Understand it, get comfortable with it and master it” (p. 46). Whether a new graduate is anticipating a job in operations management or any other field, the outlook is grim. Yet still, the skills we have learned in the classroom have given each of us the abilities to adapt to change—and that alone helps us stand apart as MBA graduates. Hansen, M. D. (2010). Thriving on Career “High” Anxiety. Professional Safety, 55(4), 44-46. Retrieved from EBSCOhost. I couldn’t agree with you more Windy; the ability to adapt to change is what can separate an average employee from great employee. An MBA is a great way to educate oneself and make you more ready to handle the constant changes of the business world, especially operations management. Adaptive capacity is another way to say the ability for someone to adapt to change. The article, Adaptive capacity and learning to learn as leverage for social–ecological resilience states, “Developing the ability to learn flexibly in a variety of ways, contexts, and circumstances is an important element of developing adaptive capacity.” This is the reason why higher education yields a higher salary in most fields and specifically the operations management field, because it is the individual with the best adaptive capacity that is most likely to succeed in the ever changing world we live in. Reference: Ioan Fazey, John A. Fazey, Joern Fischer, Kate Sherren, John Warren, Reed F. Noss, and Stephen R. Dovers. 2007. Adaptive capacity and learning to learn as leverage for social–ecological resilience. Frontiers in Ecology and the Environment 5: 375–380. 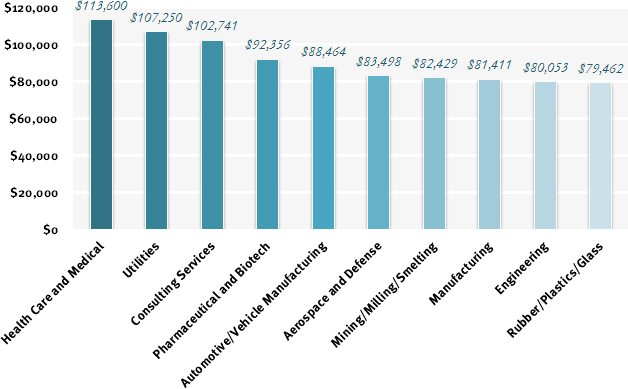 Automation Control Engineer Salaries Jump 5.5 Percent. (2009). Report on Salary Surveys, 9(3), 5-6. Retrieved from EBSCOhost. I agree Artyom Malkov about having a higher education is not only necessary these days but actually mandatory. In our current times having a four year degree is not an accomplishment but it’s a necessity to find a good job with a great future. The thing I don’t agree with or at least don’t understand is how he says having a master degree is like working for 20 years. Getting higher degrees just shows to the employer that this person has the ability to learn, but that doesn’t mean he is going to be a good successful worker. If I had my own organization or at least in charge of hiring, I would want people with hire education in my company but personally I would also want work experience so I do thing experience plays a large role in salary. We just cannot forget that having an MBA is not only helpful for business organization, like it was written in Get Your Operations Management Degree: “MBA will provide you with more skills transferable to other areas”. Yeaple, Johnston, and Whittingham demonstrated that there is no additional economic value to the student for getting pre-MBA work experience (2009). Economic value is important and is likely the key driver for most who pursue graduate education. However, discounting experience simply on the basis of economic value alone seems to stop short of a complete analysis. Experience is a key factor in being able to identify with the content of an MBA program, and to apply the content in the real world. The real-world application is what matters to employers, and the effectiveness of application drives long-term success, salaries, and job tenure. Education without experience creates a long and steep learning curve for the new graduate in the job market. “Work experience may give employers more information on which to evaluate prospective hires for evidence of leadership and other personal skills” (Yeaple, 2009). Therefore, more compelling research would include information about length of time to get post-MBA employment, as well as overall length of employment in the same career field. After reading this blog, I became intrigued by how much of a shift in demand across all fields has occurred recently. Gubman explains, “as the world de-leverages and restructures, and as lower-cost economies like China and Bangladesh take over more of the basic things we used to do, our prosperity becomes more dependent on creating jobs that we can’t even imagine” (p 3). With the growing need for operations management focus, there comes a need to improve on certain attributes that create great OMs. Mr. Malkov discussed in a recent article five personality traits of effective operations managers. Out of those five traits I think that of being an effective communicator is of the utmost importance. In order to be responsive to the needs of your team members, an OM must communicate effectively. Gubman also shares these sentiments and states that younger business professionals should “learn to think critically and creatively, study how the world works because it’s become a much small place, and constantly improve your communication and relationship skills” (p 3). Gubman, E. (2010). Recovering slowly. People and Strategy, 33(2). 3. Retrieved from EBSCOhost. Since I consider myself a big advocate for education I have to agree with you that education and experience defiantly pay. According to the MBA options website (2001), the MBA offers knowledge which is useful and practical to the real world. MBAs help students gain skills which are require in different business professions and organizations which aim at increasing competitiveness of products. The author explains that some of the benefits of MBA include advancing careers, starting businesses, changing careers and developing the business expertise. MBA offers graduates with practical knowledge which may be applied to realize and exploit available business opportunities in the real world. The MBA degree is acceptable in any field and the knowledge possessed by MBA holders is practical to the real world since it enables graduates enjoy some of the discussed benefits of MBAs. MBA students therefore learn relevant knowledge which is useful in the practical business environment. The experience versus education debate has been present for some time. Historically, experience has been the preferred qualification of job applicants. However, the nation’s push for higher education has started to outweigh and even devalue “hands on” experience. There are arguments for education, as well as for experience. The case for experience is straightforward: You want someone who has done the job before. This gives assurance that the candidate will be successful. Still, there are many reasons to seriously consider a candidate with a graduate degree. Not all experience is equally valuable. A graduate degree may be a good substitute for a few years of experience. Also, some companies place a premium on having workers with graduate degrees because of the effect on the company’s culture. The time, effort, energy, and commitment that it takes to complete a graduate degree can be nothing but a positive attribute (Steen, 2008). While there is no concrete right or wrong answer, having an education is always beneficial and can only add value to a candidate in his or her job search. In regard to education versus experience we must look at where education is failing us, especially in the 21st technological world. As Cook, et al. poses the question: “Has our rush to join the technology era resulted in fewer opportunities for our students to develop non-technology based skills?” we see emotional intelligence as a “non-technology” based skill that has historically been developed through experience. Experience offers us the opportunity to use referent and expert influence where education sometimes leaves us hanging. Today’s business environment is dynamic and unpredictable and it continually generates new information and expectations. In a turbulent environment laws, revenue, competitors, technology, communication systems and research change constantly. This means there is a continual need to modify knowledge, skills and perspectives to maintain a competitive advantage or just survive. From an organization perspective it is imperative to recruit and develop managers who are adaptable, flexible and willing and able to acquire new knowledge and improve their skills (Nosse, Friberg, & Kovacek 2005). Work and other experiences, including education can contribute to growth in desirable capacities. There are some things that can only be attained through formal education, while there are others that can only come from experience. Ideally career development is a personal quest. A way to give direction to your career development efforts is to make informed estimates of probable and improbable future trends, then use these estimates to further develop your career, whether that means taking a new job where you will gain valuable experience or taking the time to further your education. Nosse, L.J., Friberg, D.G., & Kovacek, P.R. (2005). Managerial & Supervisory Principles for Physical Therapists (2nd ed.) New York, NY: Lippincott Williams & Wilkins. It makes sense that operations management would be such a needed job position to have filled. It’s important though to know just what operations management really is, other than a required class to take at LMU. An article that I came across stated operations management as “the heart of the business, It involves the essential steps of producing goods, quality control, quality management, managing the supply chain, facilities management, product formulation and design, ordering of goods, warehousing of goods, contacting vendors, purchasing of external products.” It is a career that is rapidly growing and always-in demand for any company at any time. I agree that education will get you a higher position that will give you a higher salary compared to just getting experience in the field. An MBA offers great value to the MBA seeker and their company. According to Butcher (2011), MBA students learn that successful leadership also requires team building, the ability to listen and the willingness to share power. So an MBA degree gives us more than just education, it teaches us how to be leaders, communicators, and great teammates. Many MBA seekers do not want to change jobs; they want to gain more management skills to improve her job performance, rather than to change careers. Experience with the added education cannot be topped, it will produce the ideal job candidate! Butcher, L. (2011). Is the Dual Degree Worth It?. Physician Executive, 37(1), 23-26. Retrieved from EBSCOhost. Great point that you made about many people seeking an MBA not necessarily to change job careers. So many that I personally have spoken with are seeking their higher degree to move up within the company that they work for. Some are also seeking the higher degree in order to earn more money just by having that ‘piece of paper.’ One thing is for sure though; the education that is received can never be taken away. I had come across an interesting article that almost discourages from receiving an MBA. The article continued on that an MBA graduate may be overvalued and that the experience maybe a bit shortchanged (Shead, M.). My first day in my O.M class i told myself here we go another class to teach to teach us to breath but up to date i realize this was exactly what i have been looking for truly. Operations Management is about getting things done effectively and efficiently in organizations. Demands for business process re-engineering, better quality, better customer service, time-based competition, and supply chain management demonstrate that superior management of the operations function is vital in business today. Operations managers manage the production systems in manufacturing and services.”Our business is about technology, yes. But it’s also about operations and customer relationships(Michael Dell, Dell Computer ). Operations Management is the heart of any company. It involves the essential steps of producing goods, quality control, quality management, managing the supply chain, facilities management, product formulation and design, ordering of goods, warehousing of goods, contacting vendors, purchasing of external products. There are millions of good jobs available in operations management and these positions offer substantial upward promotion potential. As stated Lee Lacocca “In the end, all business operations can be reduced to three words: people, product and profits. Unless you’ve got a good team, you can’t do much with the other two. Professor Green, you have excellent students that ask great questions. I will answer one question that covers a topic and gets the most coverage: Experience vs Education in the operations field. Many of you bring up great points about experience — and you are absolutely right. Experience is necessary and, as employers, we all prefer to hire someone with more experience than with less. Yet, once again, it’s a supply / demand question, rather than experience vs education. We can be fairly certain that a vast majority of employers will prefer to hire an operations manager with experience AND education. As far as this article is concerned, it is not about whether experience is better or education, or vice versa. Since if we can have both, then it is a moot point. Lets take a look at why that’s the case. Keywords become: transferable experience and perceived value. we also include the fact that the average pay within the industry varies greatly, it becomes clear that switching a field can hurt someone’s prospects, unless something allows one to lock at least some of the value of that transferable experience. This is what the degree does — it allows you to lock and carry over some of that un- transferable experience value. That’s why MBA not only allows faster upward mobility in the same organization, but it is also allows larger horizontal mobility for the job seeker even when industries are switched. In addition to experience transferability. When an employer takes an MBA graduate with no experience, her or she knows that this person is trained to think in certain way and can be trained in this specific field of ops. The best part for Ops MBA’s is (this applies to any other MBA fields, I am using Ops as example) once you have the experience, it is also perceived to be much more transferable, since to use Wala’s sampled quote “MBA will provide you with more skills transferable to other areas.” It is invisible yet quite a perceived asset. You are seen as a higher value blank slate. Notice that at no point does it become a Experience vs Education debate. It is about understanding why education and experience have such a role on salaries, and how understanding those roles can help you get ahead. We appreciate you sharing your expertise and opening up the discussion with a provocative subject matter. At Lincoln Memorial University, we are grooming the next generation of dynamic leaders. Bringing subject matter expertise like yourself from across the globe sharpens them. http://www.operationscrossing.com is a job website that show its member jobs for every employment website throught out the world. hound.com work for us to provide unbiased information about jobs..It is really very helpful website.operationscrossing website is very easy to access and provide us a satisfied jobs which each an every Individual need. In this website you can search jobs on the basis of specific locations and practice areas. The site has the highest number of jobs in the world. OperationsCrossing.com is job portal site, it contain so many job for job seeker it has many option for job seeker.OperationsCrossing.com having different options and different sector for job seeker it has portal it means it connected to anther site also. It contain all types of jobs for different job seeker. OperationsCrossing.com is recruitment site they having so many advertisement for job-seeker. It is a very effective and informative job site. Many recruitment sites are available and advertisements for job seekers are plenty. It is an awesome, fantastic site. Everyone can find the best career options here. To achieve the set goals.